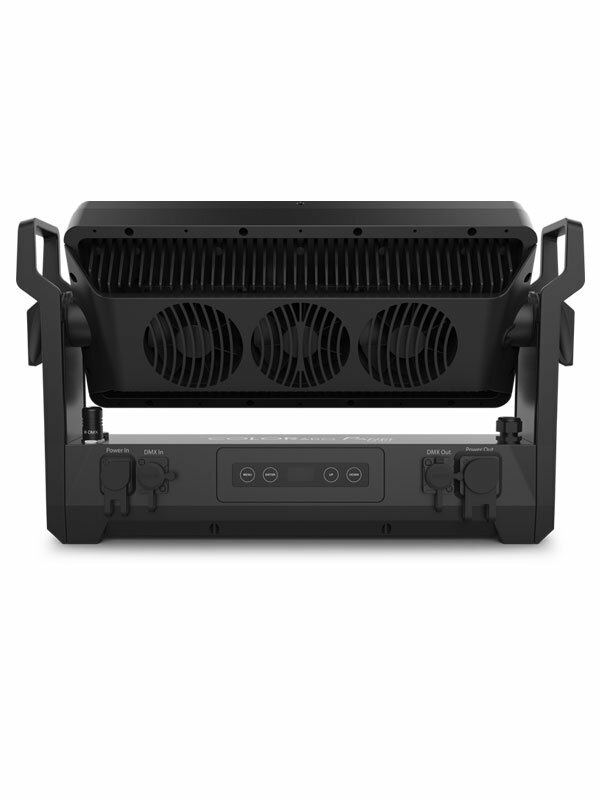 Chauvet Professional COLORado Panel Q40 | On Event Production Co.
COLORado Panel Q40 is a powerful IP65-rated wash light. Featuring 40 15 W RGBW LEDs, and the ability to be controlled by DMX and W-DMX when using our Blackbox F-1 G4 Mk2 Wireless DMX Transmitter. This rugged multipurpose fixture is outdoor rated and the connections are industry standard allowing for easy connections without the need for propriety cabling. The fixture has a easy to read OLED display with touchscreen interface. Unit power is supplied by the True1 Compatible IP65 adaptor cables, and the units in our rental fleet here at On Event Production Co. are supplied with 16A PCE Black T-Split to Seetronic® Powerkon IP65 adaptor cables. The COLORado Panel Q40 fixtures are supplied in pairs and six's when you hire from us here @ On Event Production Co. The Q40 Panels are light on the power usage and have the ability to link 5 units in series as they are only 560W per unit! If you're interested in knowing more or would like to rent the COLORado Panel Q40 then please give our Hire Department a call or send us your details below. • Data Connectors: 5-pin IP65 XLR or W-DMX. When hiring the Chauvet COLORado Panel Q40 from On Event Production Co. you can hire these in twos or six's. Input: 5 pin DMX and W-DMX.